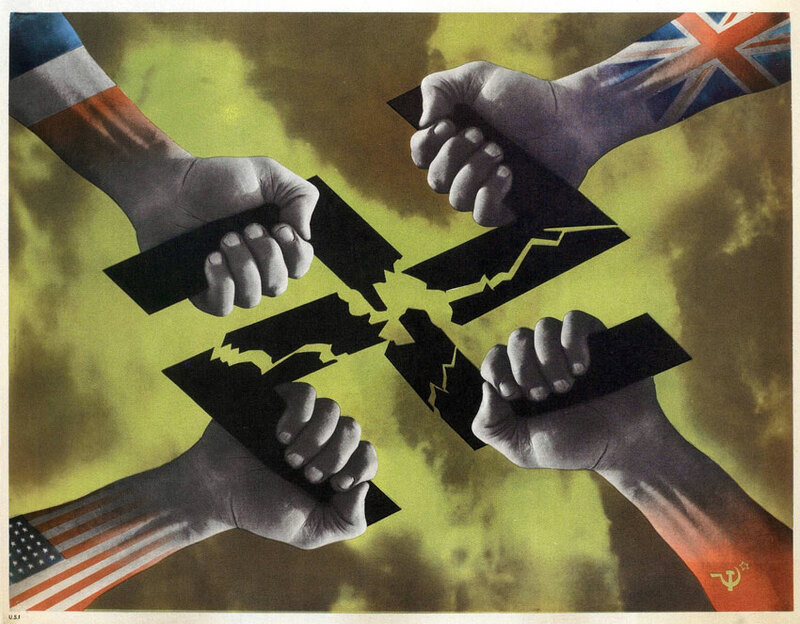 In this era of the Global War on Terror, the Cold War seems like a distant memory. 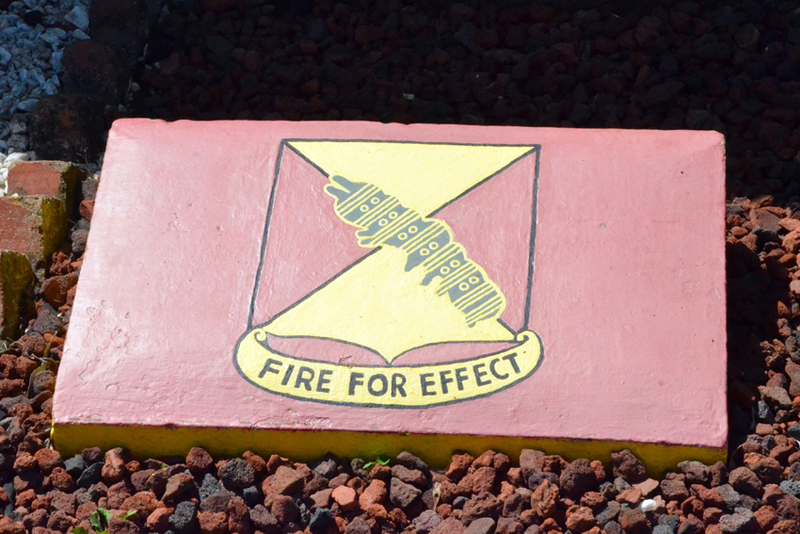 For those of us that lived during that time though, that memory has yet to fade. The threat of nuclear annihilation hovered constantly in the collective consciousness and the American military was tireless in its efforts of preparation for just such a catastrophic sequence of potential events. 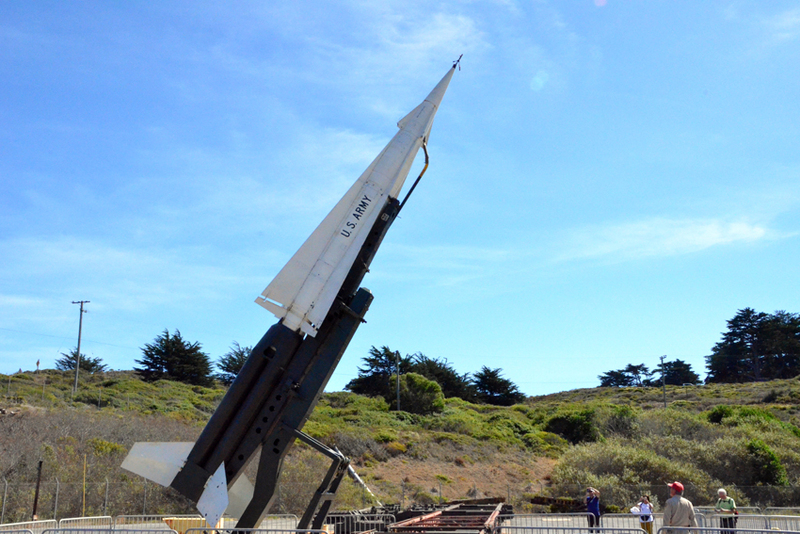 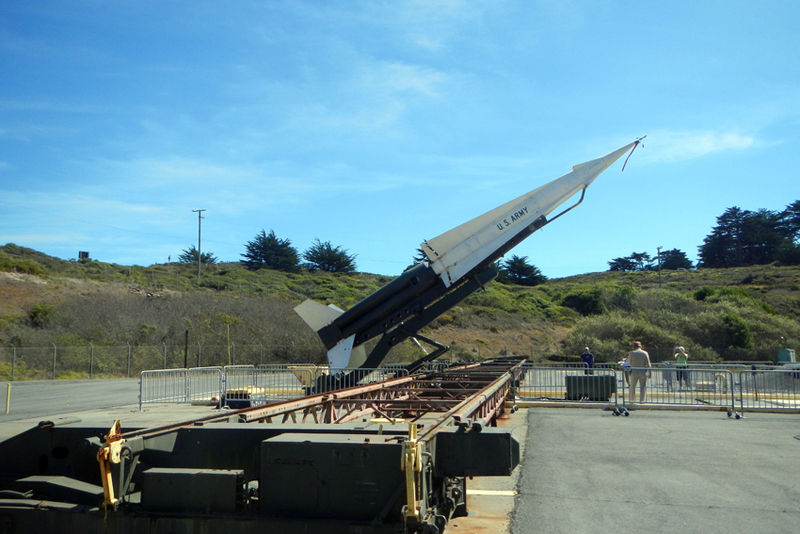 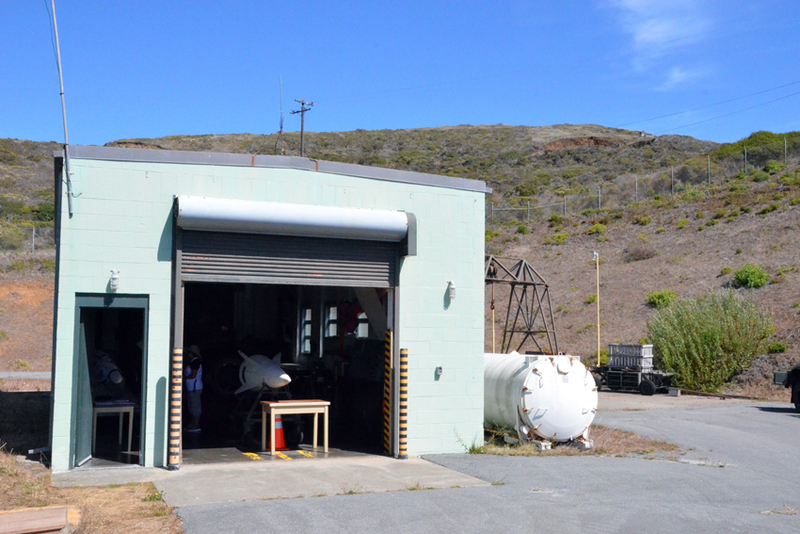 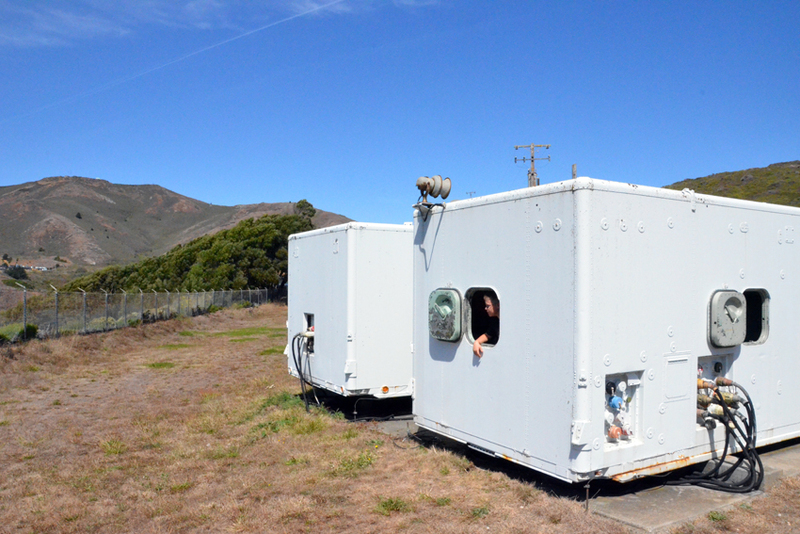 Just a few miles Northwest of the Golden Gate Bridge sits a decommissioned anti-aircraft nuclear missile launch site known as “SF-88.” Located in the Marin Headlands and once a part of Fort Barry, SF-88 was one node of a network of 300 such sites. 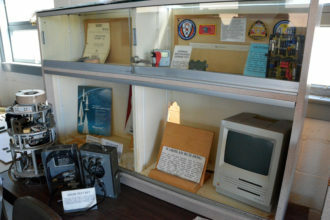 SF-88 was a part of “Project Nike,” originally proposed by Bell Laboratories in 1945; the same organization that gave the world the UNIX operating system and the C Programming Language. 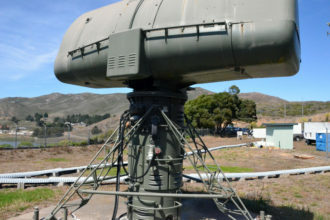 Project Nike was a US Army coastal defense system consisting of anti-aircraft missile systems and radar installations. 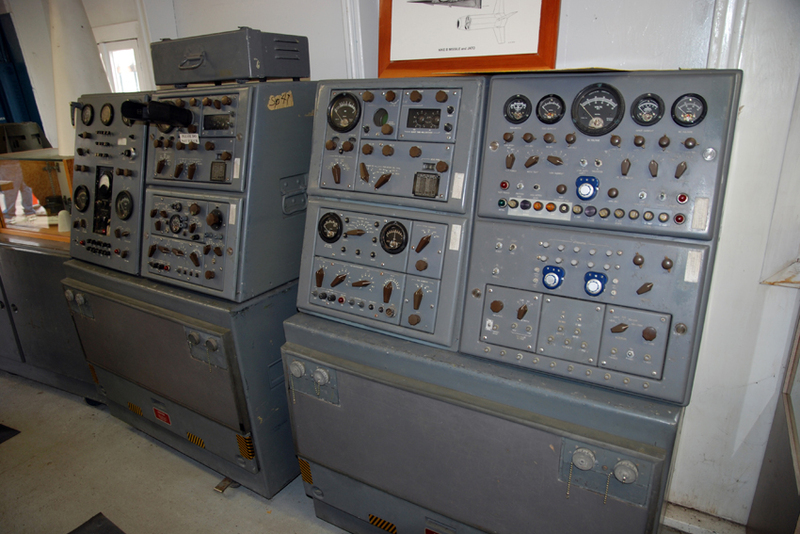 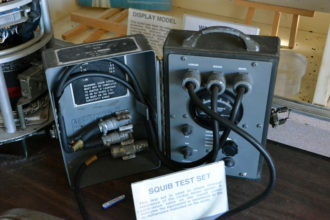 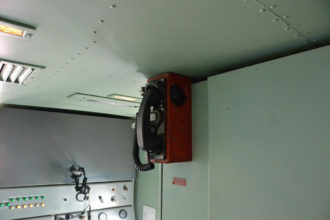 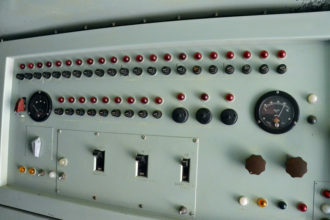 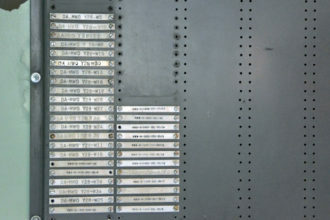 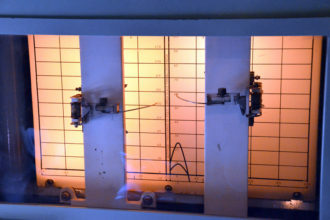 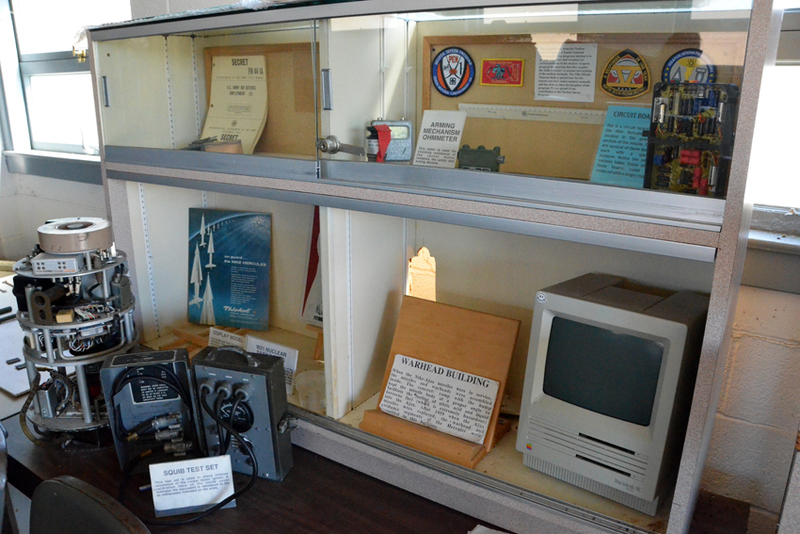 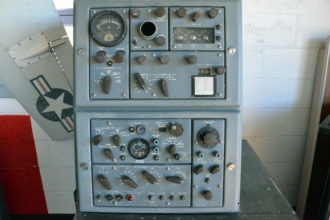 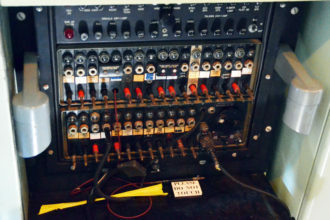 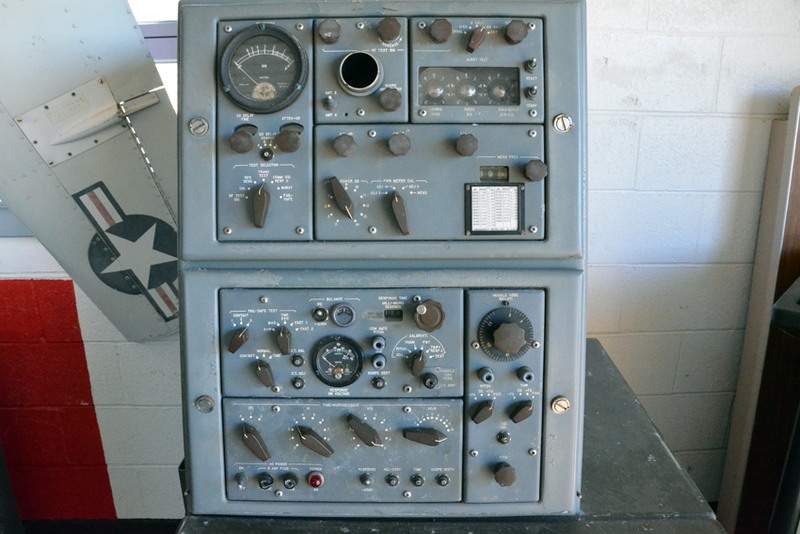 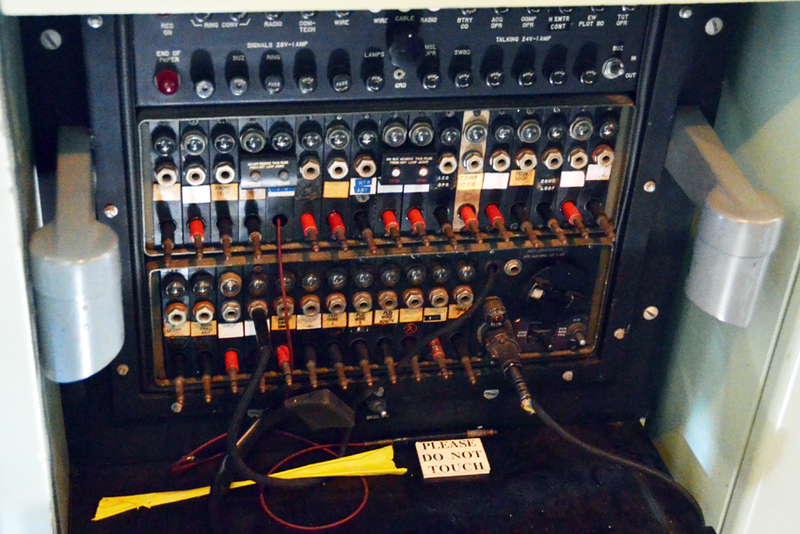 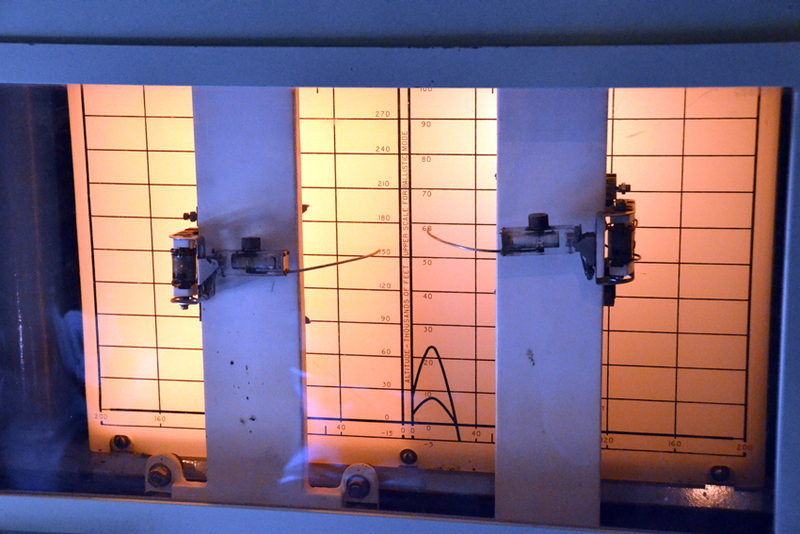 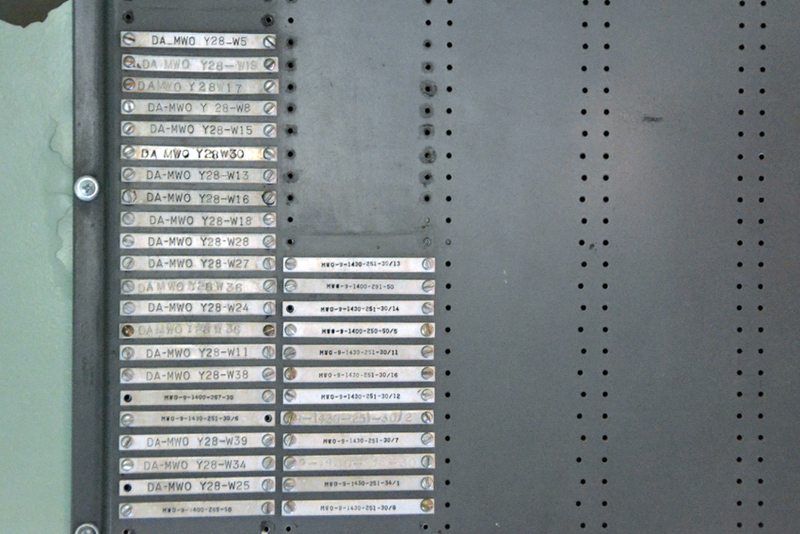 These were used to track incoming threats off the shores of the United States, as well as outgoing Nike Ajax (and later, Nike Hercules, Nike Zeus and Nike-X) missiles in the event that the Soviets might attack with nuclear-capable aircraft. 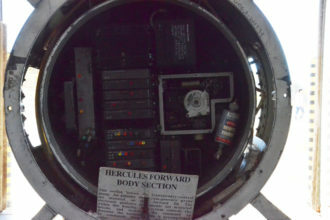 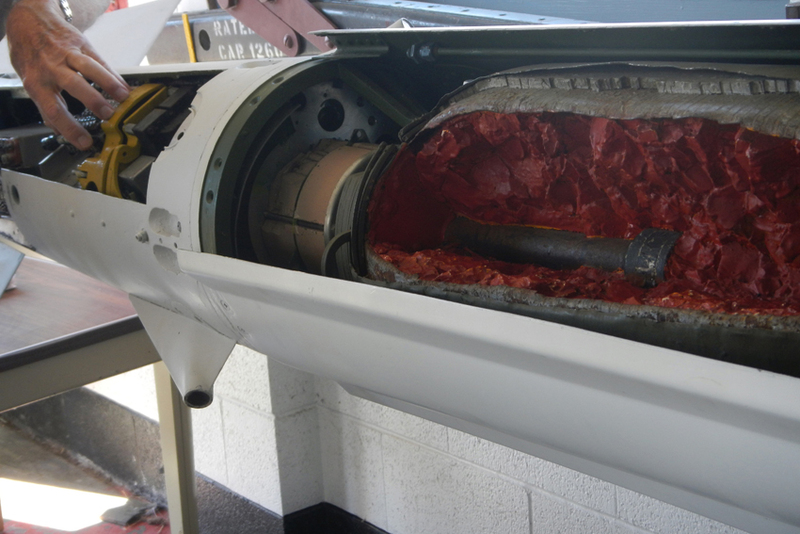 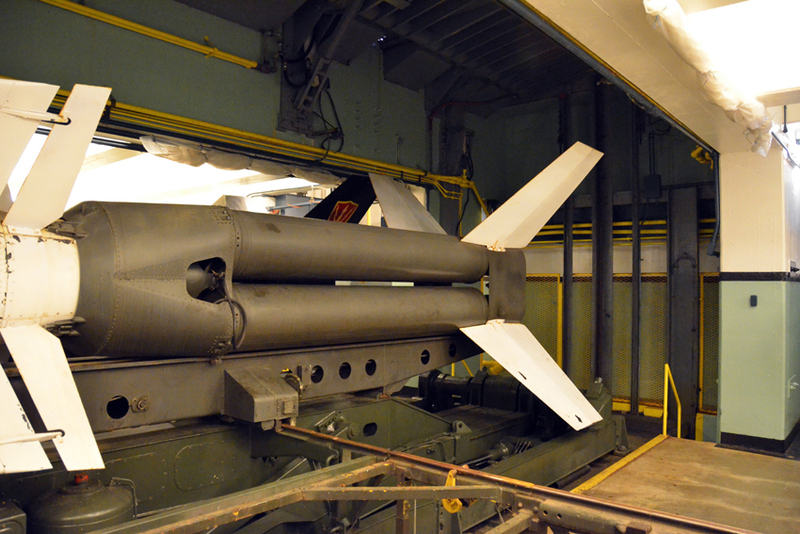 Over time, the Nike missile system was enhanced to address potential ballistic missiles, as well as aircraft. 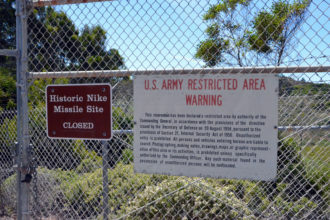 However, the Soviet ICBM advances rendered Project Nike’s perceived threat less and less likely and almost all of the Nike missile sites were deactivated and decommissioned by 1974. 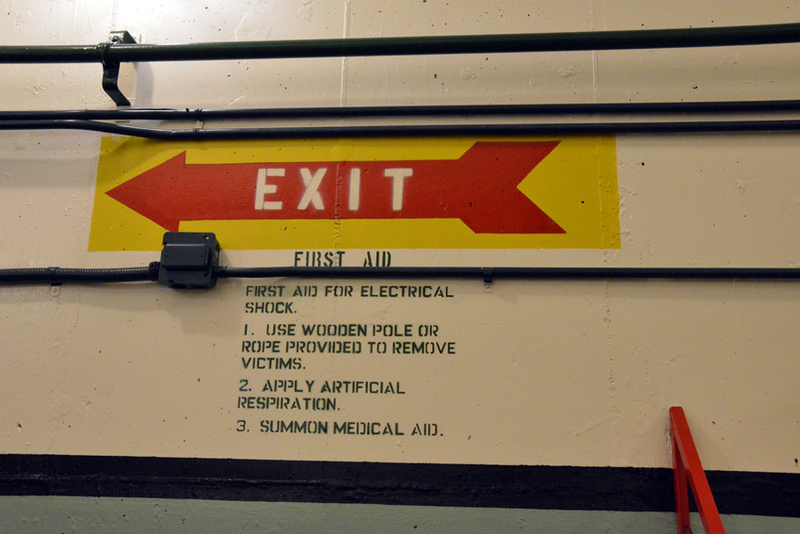 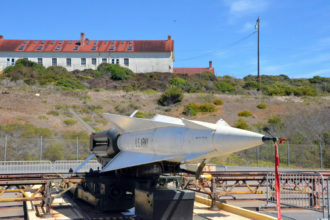 Since that time, most have been destroyed, filled in and re-purposed, but SF-88 was spared demolition and was painstakingly restored as a sort of living museum from 1994 – 2000. 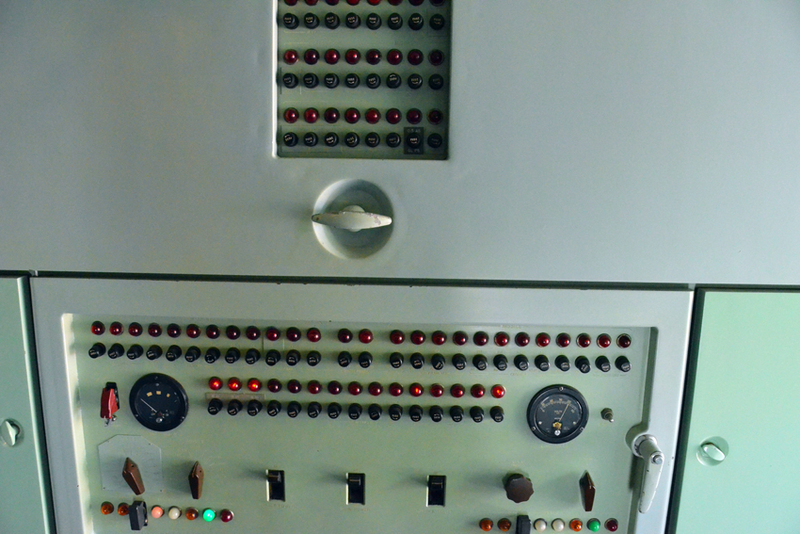 As a result of that restoration, it’s now available for public visits on Thursdays, Fridays and Saturdays, from 12:30 to 15:30. 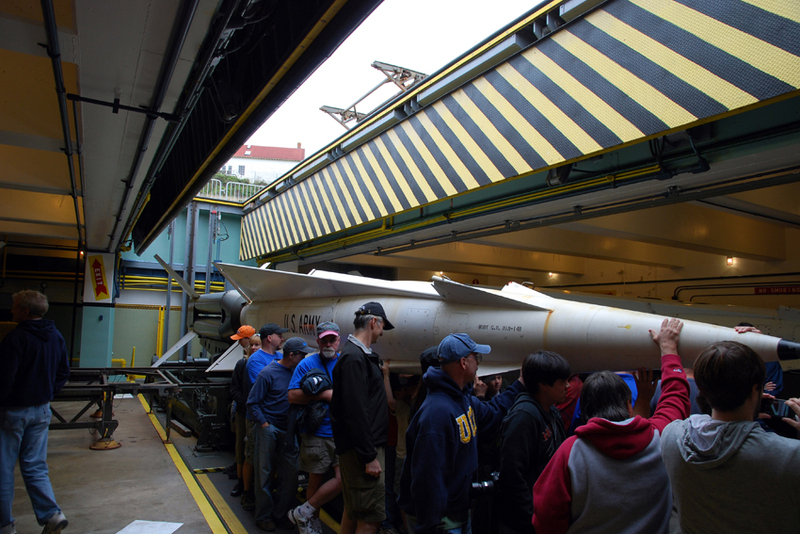 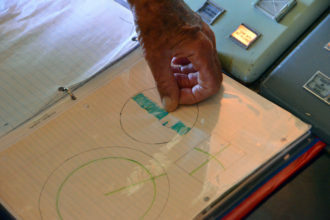 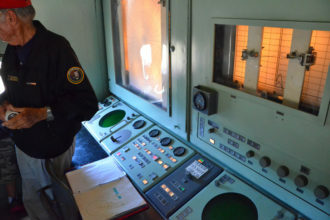 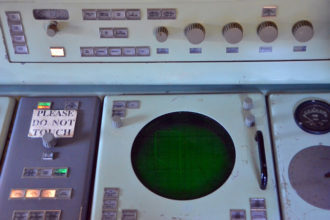 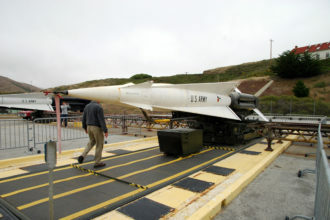 The first Saturday of each month, the site is actually staffed by former Cold War era veterans of the site, giving the public a rare glimpse of what life was like for the men stationed at the Nike Missile sites around the country. 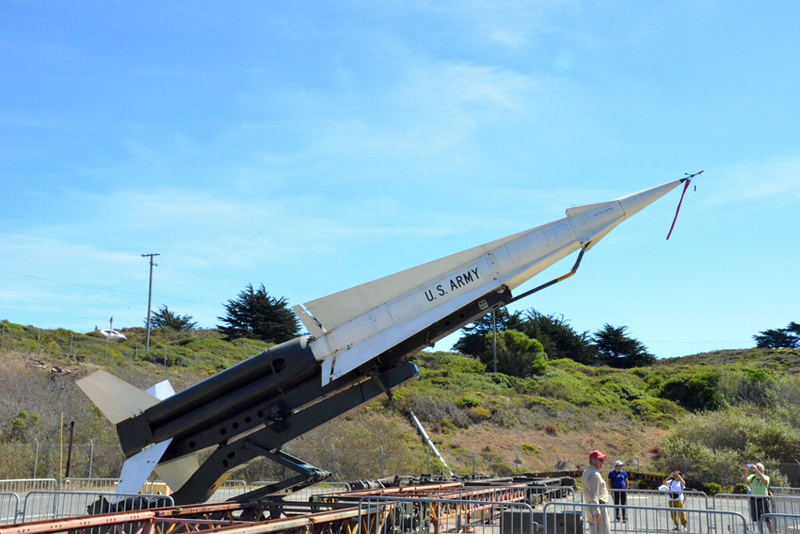 The SF-88 site was built between 1954 and 1955 and at the time, it was strictly the launch area for the missile system, referred to as SF-88L. 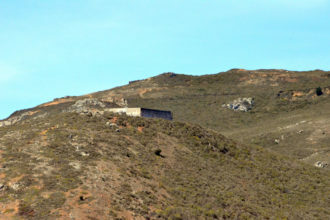 The radar and computer control station were located on the top of Wolf Ridge, about a mile north and called SF-88C. 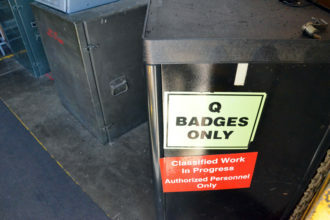 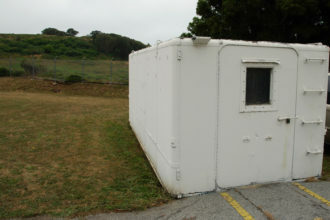 This station would be staffed by one officer and four enlisted men in one trailer and another three to five in the next trailer. The personnel were drawn from two platoons, each with three squads, enabling the on-duty staff to be rotated every eight hours. 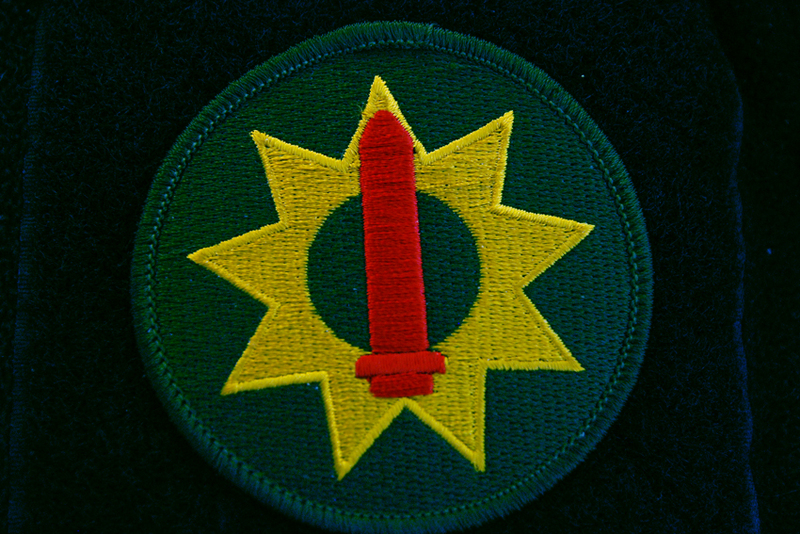 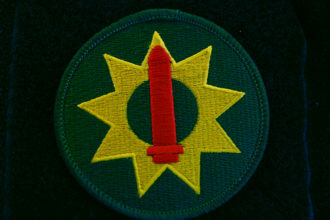 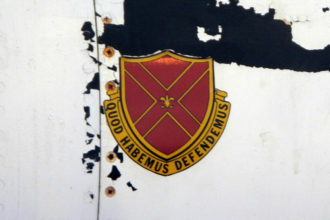 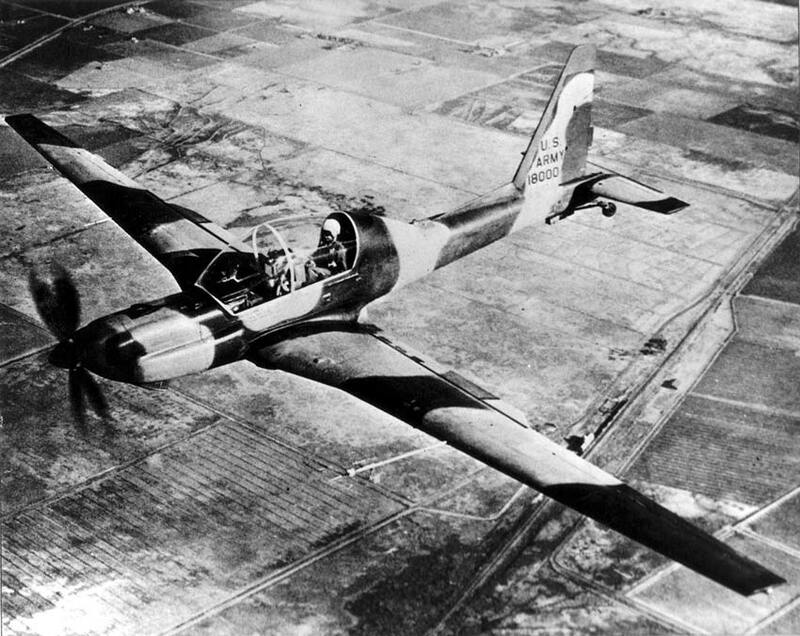 They trained constantly and were required to have experienced staff on duty at all times, owed to the importance of their primary mission; defending against aerial attack from potential nuclear-bomb loaded Soviet or Chinese aircraft that might come from the Pacific with hopes to destroy the Bay Area or other targets further inland. 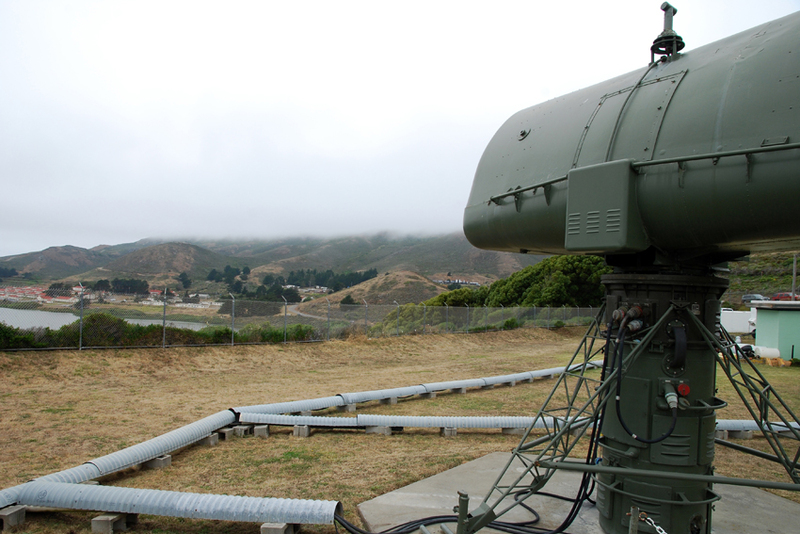 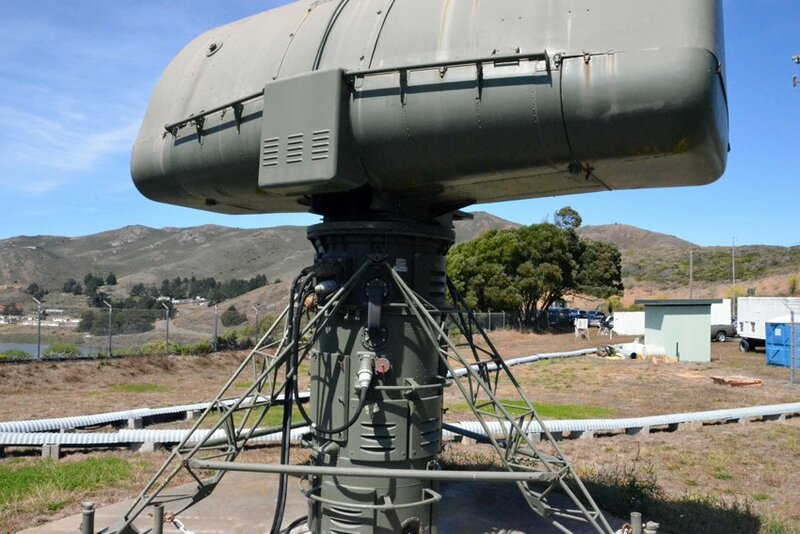 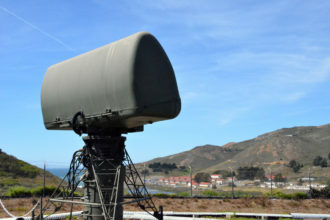 The Army radar operators in SF-88C had a rotating long range radar system capable of seeing 130 miles away and they remained in constant contact with the Air Force radar installation on top of Mt. 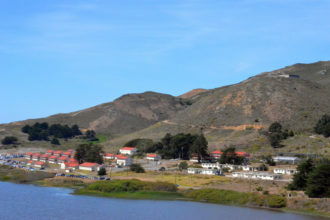 Tamalpais, which had a range of 200 miles. 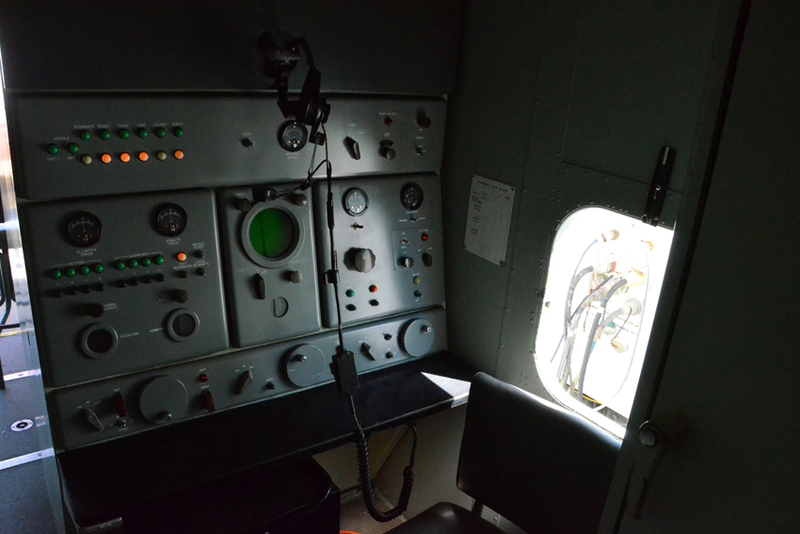 This meant that they would get advanced warning if a suspect aircraft was inbound to their airspace. Generally speaking, the Air Force would also have knowledge of potential threats from a network of long range radar systems placed around the globe and they could usually track Soviet military aircraft from the moment they took off, watching them progress around the world. 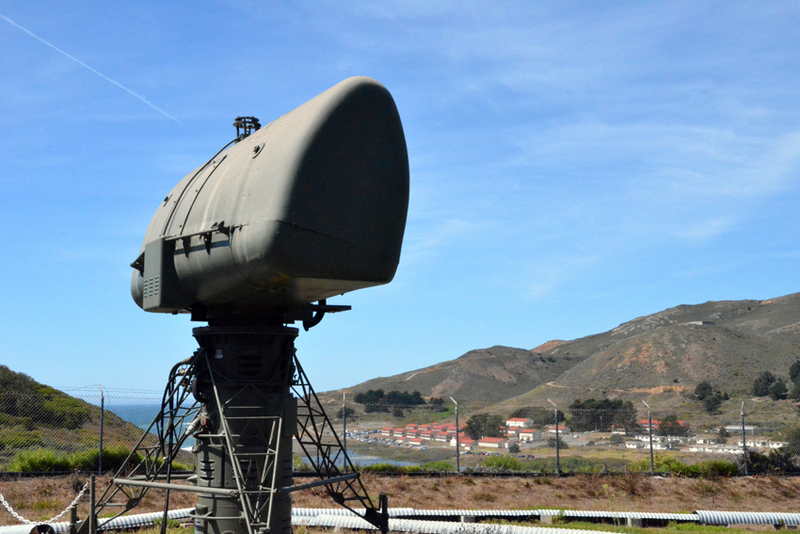 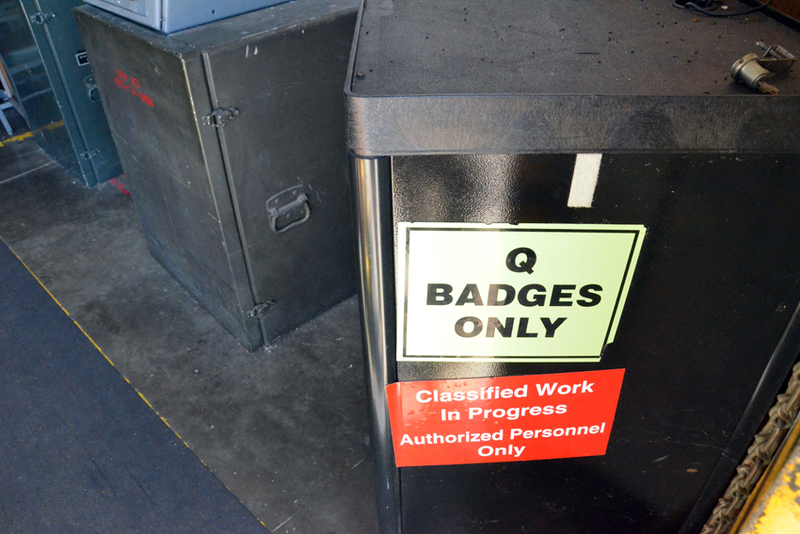 When an aircraft would enter SF-88C’s airspace, base staff would receive orders ahead of time from their chain of command to track the aircraft, provided it wasn’t a known commercial or military flight. 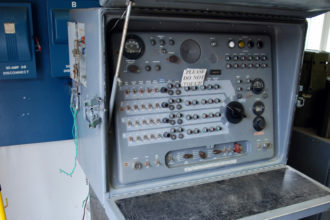 SF-88C would then send three challenge codes to the unknown aircraft and would expect three correct “positive” responses back from that aircraft before they would stop considering the plane a threat. In the event they didn’t get those three positive responses back, the aircraft’s position would be determined, as well as the direction in which it was traveling and the staff in SF-88C would make preparations to launch a missile to destroy that aircraft. 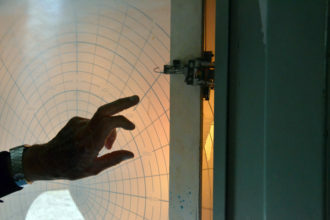 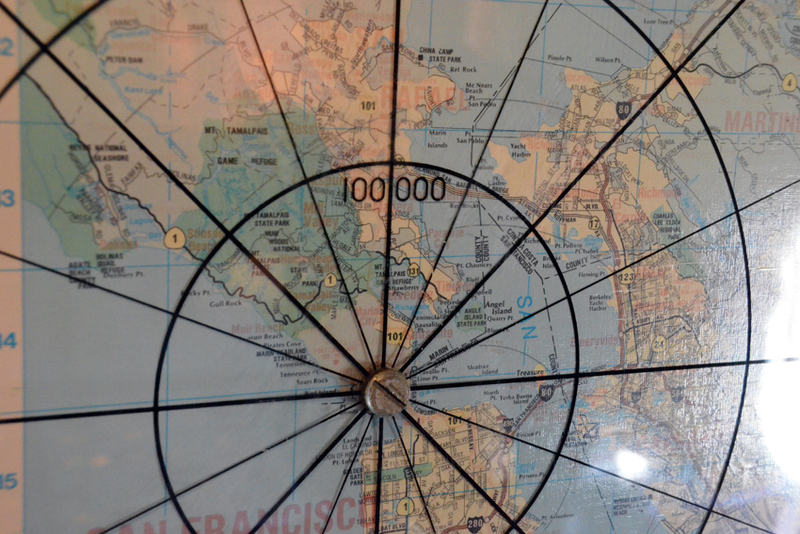 Preparations included determining the azimuth, distance and expected intercept point. 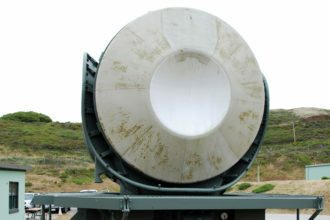 Within seconds of determining an aircraft to be an actual threat, SF-88C would send a launch signal to the launch system at SF-88L. 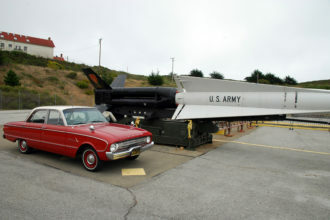 This would trigger the launch of an outbound Nike Ajax missile, which would then travel about 70 miles at twice the speed of sound before the crew at SF-88C sent the missile a burst code, causing the warhead to explode. This explosion would send a significant amount of shrapnel to destroy the threat aircraft still in the air, thus preventing it from making it to shore and delivering its payload. The Nike Ajax missiles used conventional explosives and around 1958, were replaced with the larger, faster Nike Hercules missiles. These missiles were nuclear capable and had a greater range than the Ajax. When SF-88 added nuclear warheads to its arsenal, the security of the base was increased and additionally added security staff were separated from the missile launch staff and constantly patrolled the surrounding area. 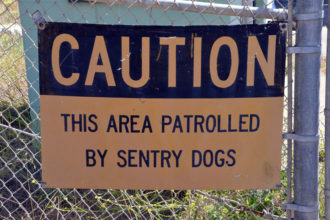 They were assisted in their patrols by trained dogs and dog handlers. 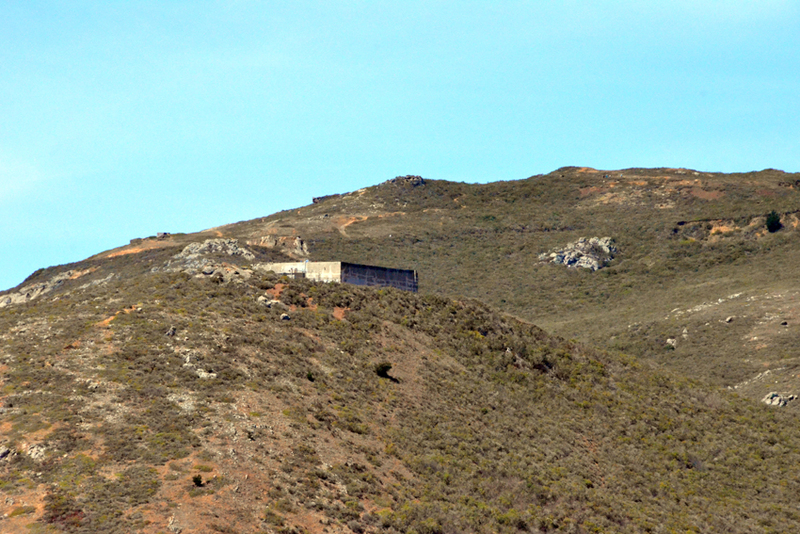 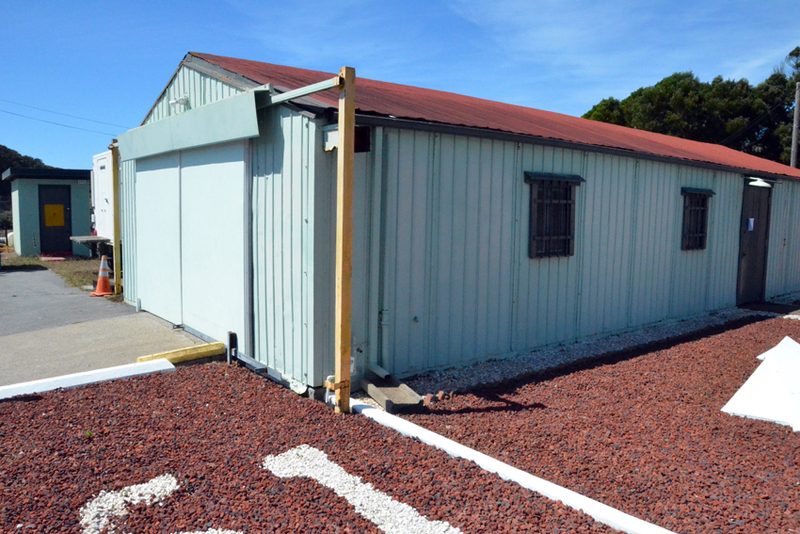 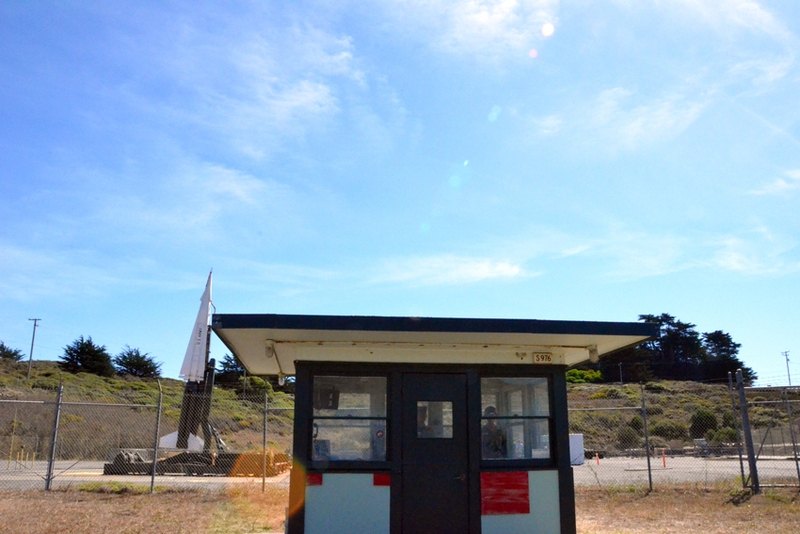 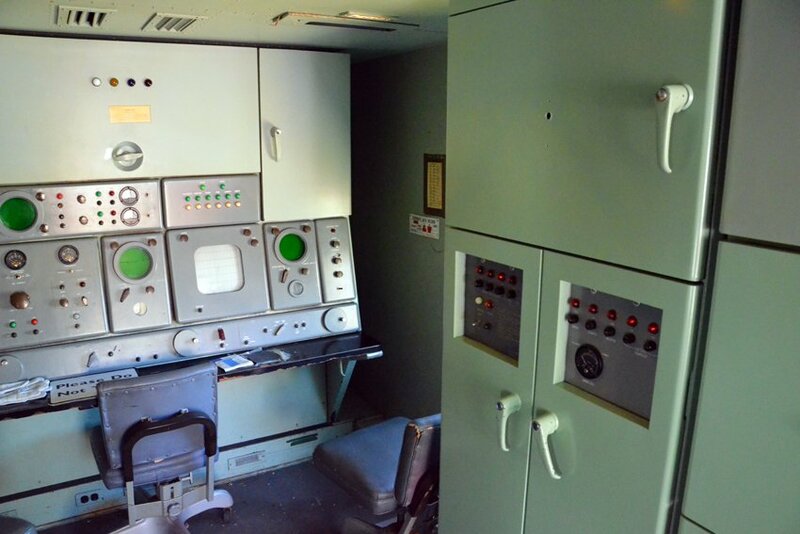 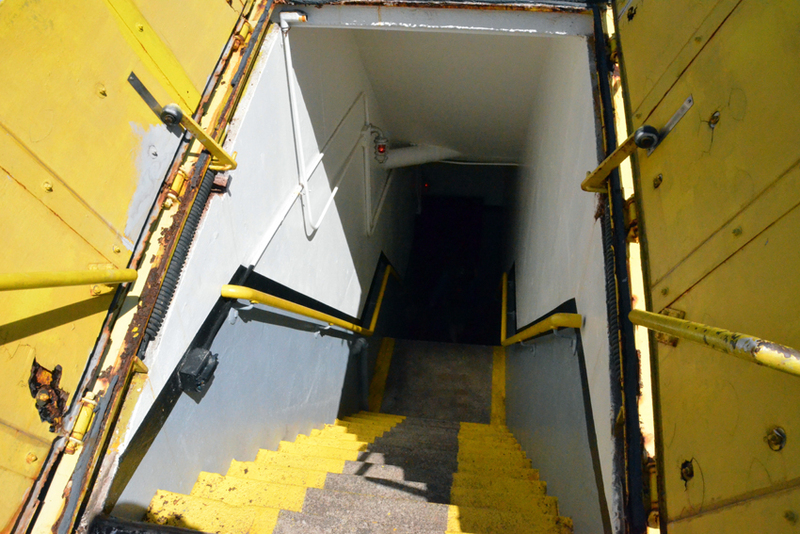 SF-88L , the launch area, first housed the underground missile battery, support buildings for maintenance and barracks for the troops stationed there. 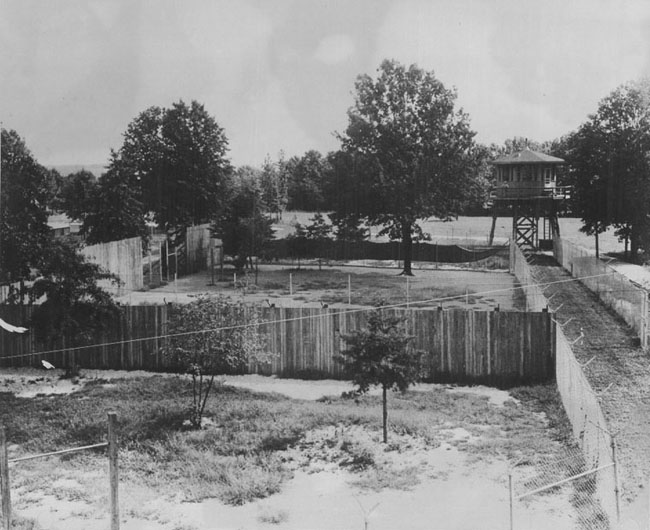 When nuclear warheads were introduced to the base, the barracks were demolished and troops were housed in other nearby barracks, as opposed to the launch site’s grounds. 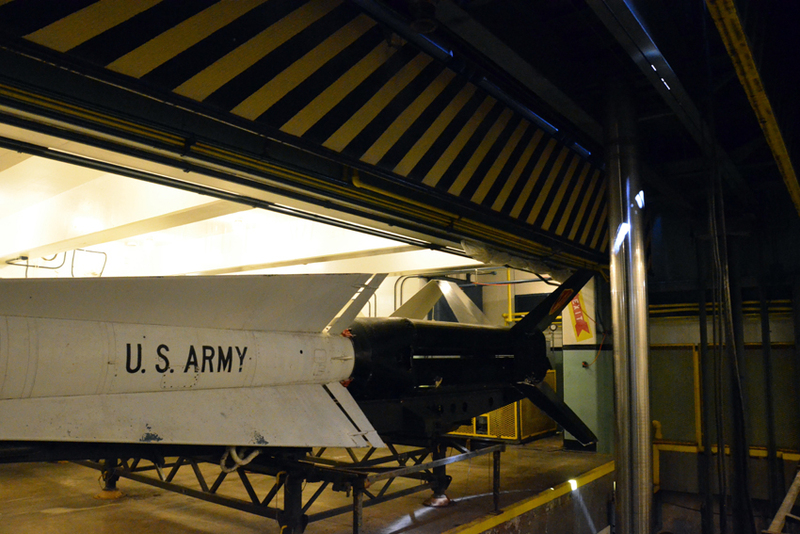 Missiles would be assembled in the assembly building, then moved to the underground storage area, where they could easily be placed onto the hydraulic launch platform. If a missile needed to be launched, the launch bay doors would open and the launch platform would be raised above ground, where it could then elevate the missile to a vertical position for launch. 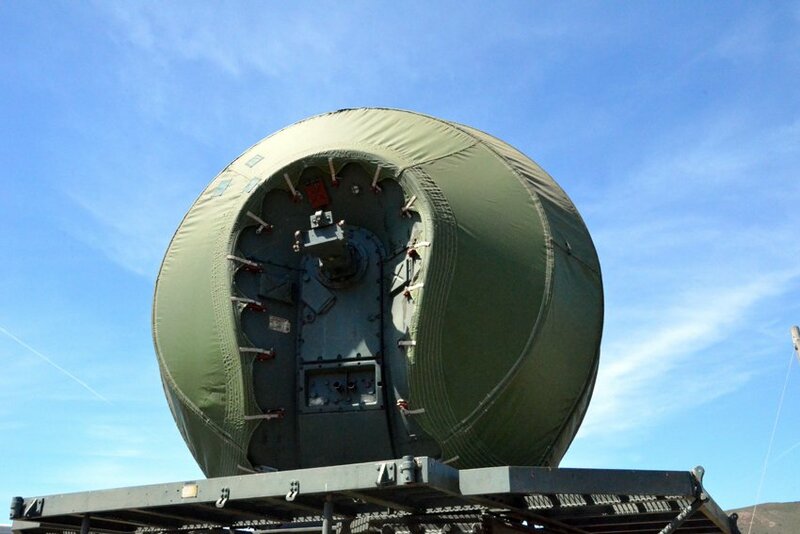 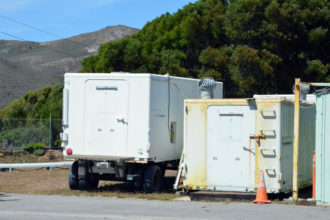 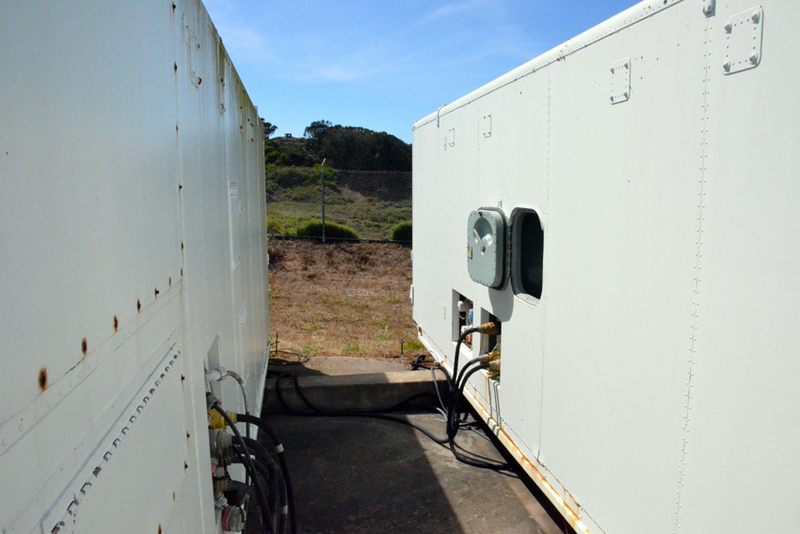 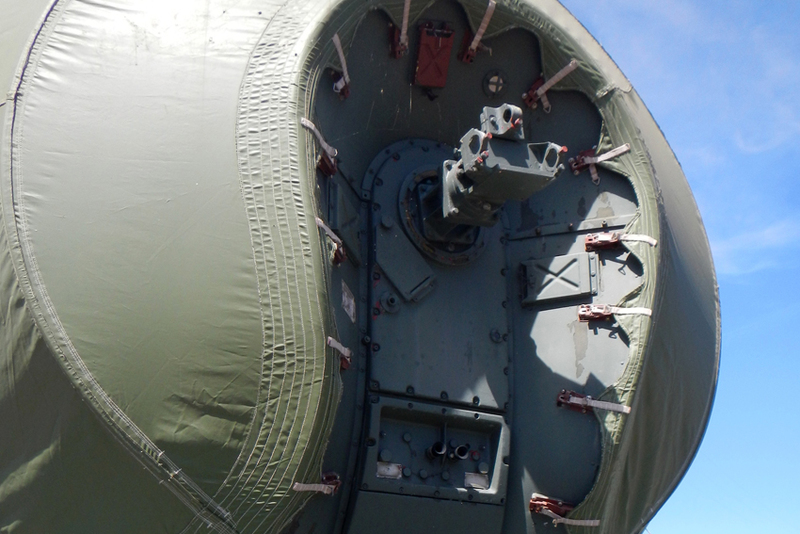 These days, the launch area contains the entirety of the “living museum.” The radar units and control trailers have been moved to the SF-88L location, inside the outer perimeter fence, but outside of the missile battery area, which has an additional inner circle fence. 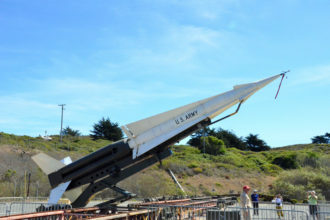 When nuclear warheads were introduced with the Nike Hercules missiles, the purpose was to be able to launch one at a fleet of incoming bombers and take them all out at once by detonating a small nuclear warhead. 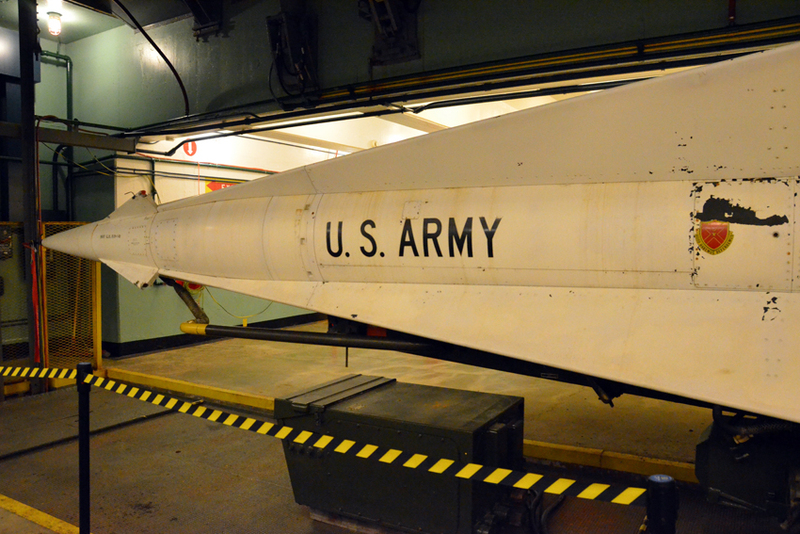 (“Small”, of course, being a relative term with regards to nuclear warheads.) 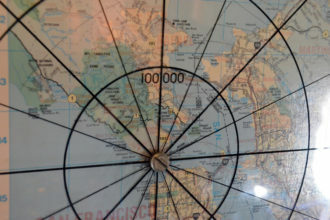 The goal was to prevent such a fleet from wreaking havoc by successfully reaching their targets, with the downside of collateral damage via fallout drifting inland from the Pacific. 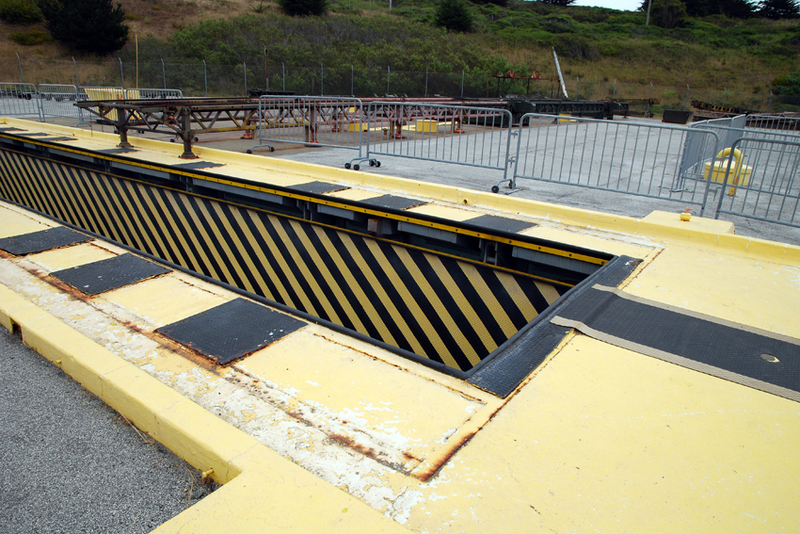 Such a blast would also super-heat the waters of the San Francisco Bay, further compounding the damages inflicted. 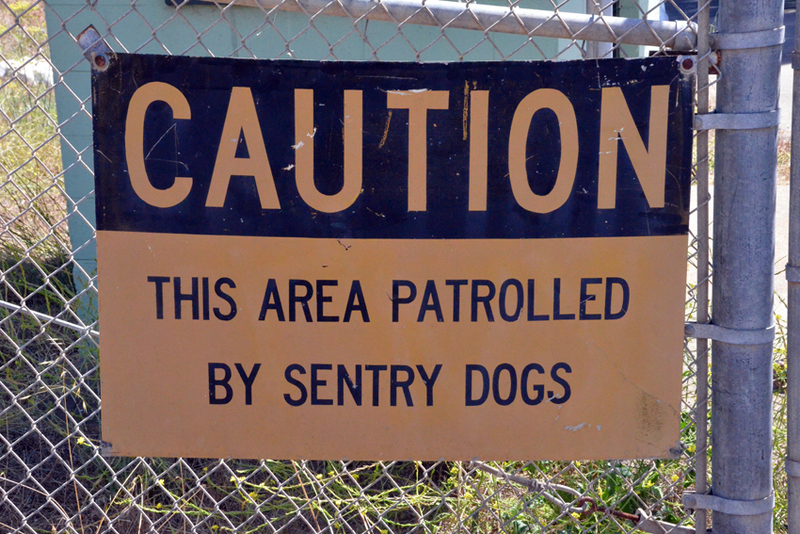 Fortunately for everyone living there at the time, this never came to fruition. 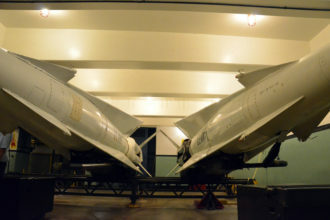 SF-88L was never called upon to launch a single missile, as Russian or Chinese bombers never made an attempt to attack. 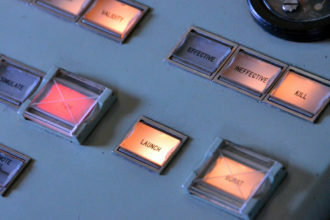 In time, as the Russians concentrated their technological efforts on intercontinental ballistic missiles (ICBMs), the probability of an aircraft-delivered nuclear attack diminished. 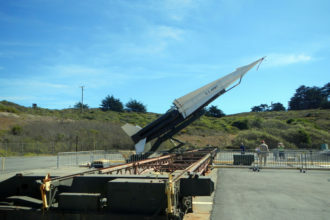 This saw the American development and deployment of the Nike Zeus and Nike X missile systems, which were built to address incoming ICBMs, rather than any number of bomb-bearing aircraft. 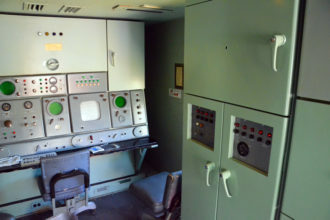 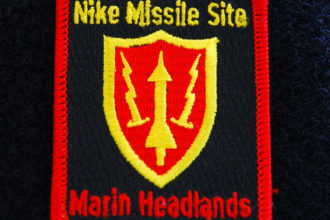 As a result of the simultaneous Russian and American development of ICBMs, US defensive strategy shifted from an anti-aircraft defense to a policy of Mutually Assured Destruction (MAD) and by 1974, as a direct result of the Strategic Arms Limitation Talks (SALT I), most of the US Nike missile sites were deactivated. 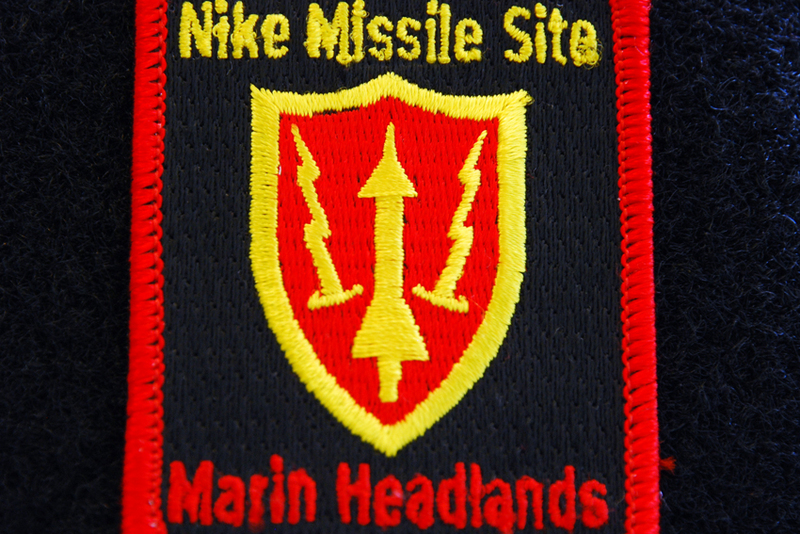 Interestingly enough, a handful of Nike installations remained active in Europe and Korea up to 2005. 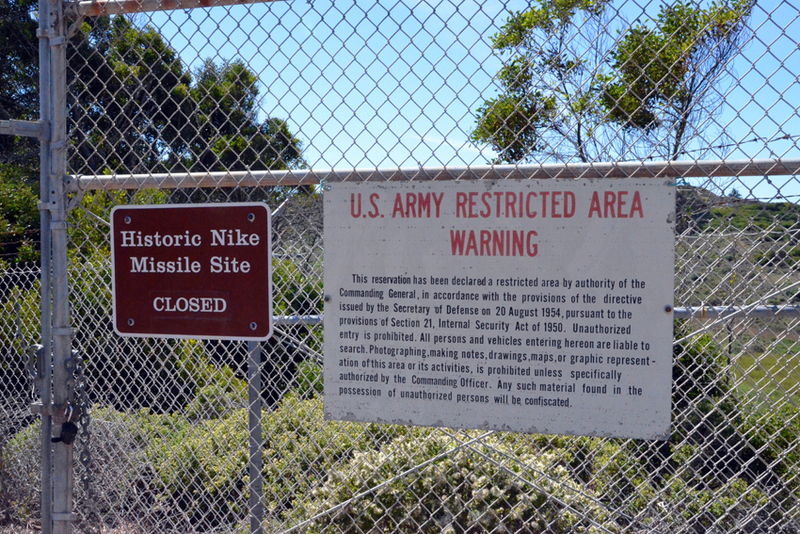 By 1976, all of the Nike missile sites within the United States had been ordered to shut down. 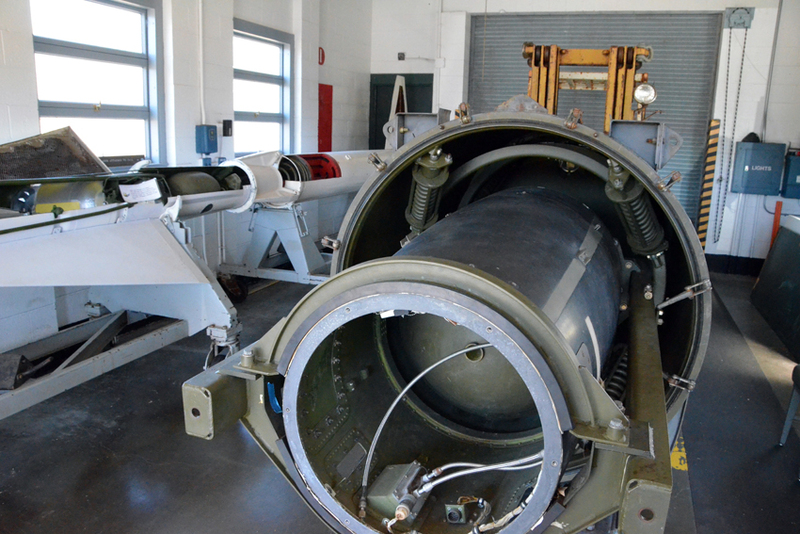 A sizable percentage of these were demolished, with bunkers and batteries filled in or totally removed. Many were simply abandoned and fell into disrepair. 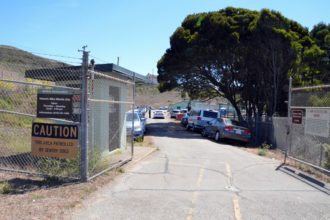 The facilities at SF-88 were transferred to the ownership of the National Park Service, who weren’t quite sure what to do with the land. 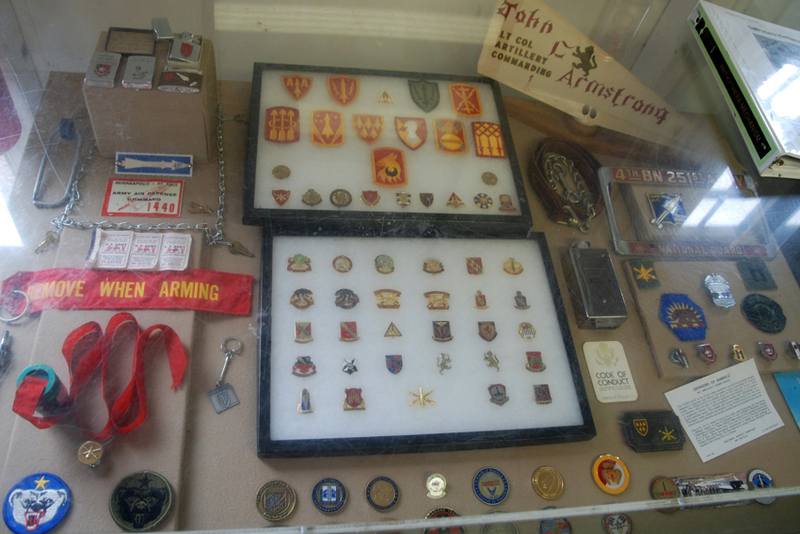 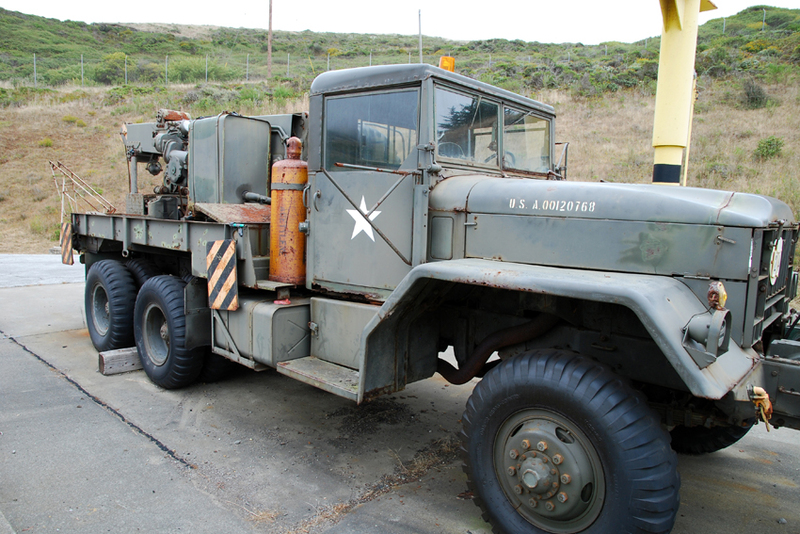 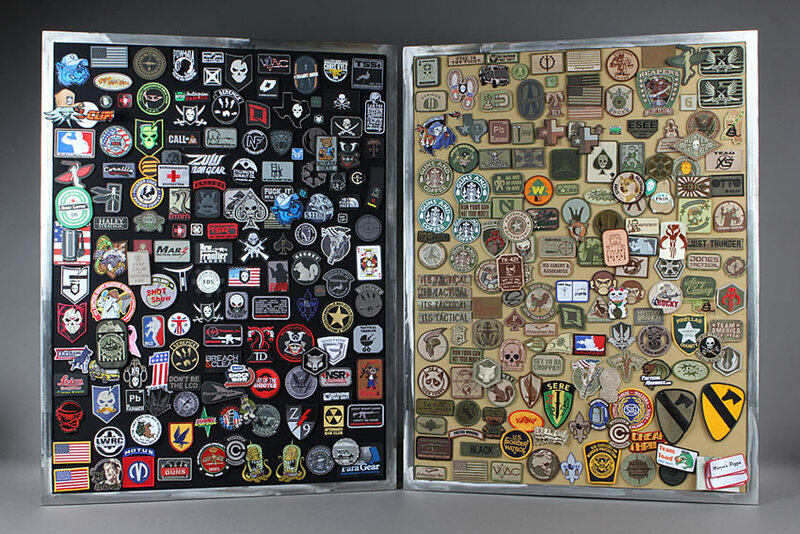 In 1986, weather and neglect had taken a significant toll on SF-88 and John Ryan of the National Park Service set up a volunteer program, allowing Military Vehicle Collectors Club members to come and perform general maintenance on the facilities. 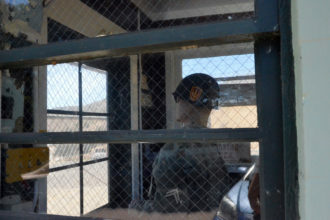 This relationship between the NPS and the MVCC would later come to an end, due to some instances of “inappropriate behavior” on behalf of MVCC members. 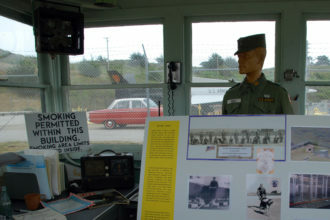 Later, retired Colonel Milton “Bud” Halsey, Jr. took up the reins of building and managing a more reliable volunteer program dedicated to restoration of the site as it stands today. Working with the National Park Service, Halsey and the other volunteers did the hard work of rebuilding and restoring the site to a functional state, which is now enjoyed by visitors every weekend of the year. 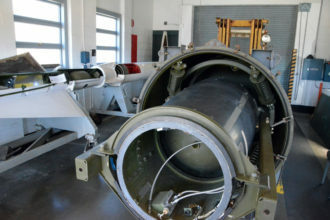 SF-88 is the only fully restored Nike missile site in the United States and as far as I know, only one other restored base exists in the world; Base Tuono, located in Italy. 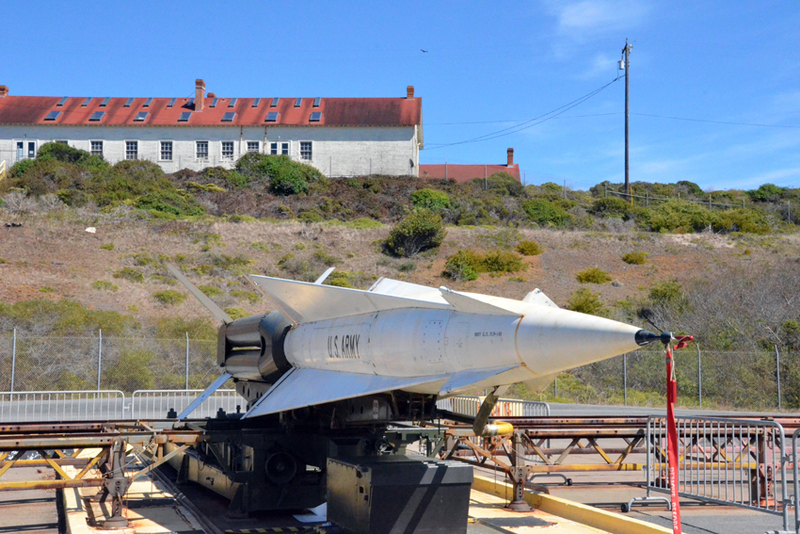 SF-88 is predominantly considered a restoration site, rather than a museum, though it functions as one. What it lacks in providing context for the Cold War in which it served for 19 years and 10 months, it provides in the perspectives of the enlisted men who were once stationed there. 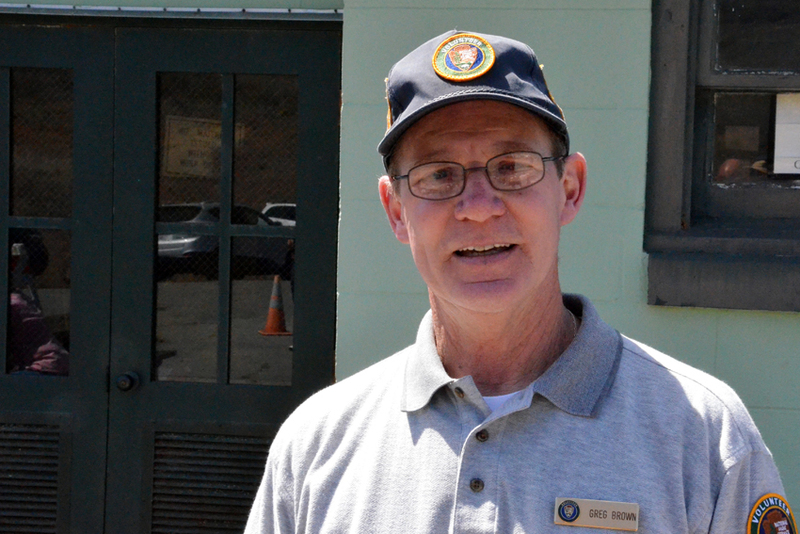 On the one weekend a month that these veterans are the visible tour guides, there’s plenty to be learned from them. 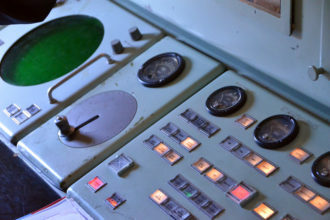 There’s also plenty to be learned about what the world used to be like, prior to the dissolution of the Soviet Union and before the end of the Cold War. For more information about the SF-88 Nike Missile Site in California, visit the National Park Website here.